Situated 400 metres from the centre of Naxos Town and 150 metres from Agios Georgios Beach, Sergis Hotel features a swimming pool. 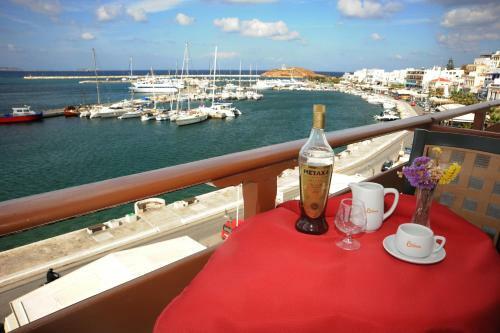 Each room has a private balcony overlooking the Aegean Sea or the scenic town. 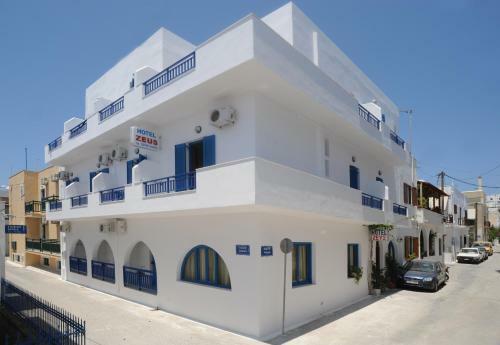 Situated 800 metres from Agia Anna Beach, Birbas Hotel features air-conditioned studios with free Wi-Fi and balcony overlooking the mountains or Naxos Town. The village centre with shops and taverns is less than a 10-minute walk away. Just 25 metres from a sandy beach, restaurants and caf�s, Summer Dream II is located in Agia Anna. It boasts an outdoor swimming pool, free Wi-Fi and air-conditioned accommodation with views over the Aegean Sea or the pool. Located in the village of Agia Anna, Antonina Hotel is a typical Cycladic-style complex featuring a swimming pool and a garden with palm trees and bougainvilleas. Its self-catering units open out to furnished balconies or patios. The Cycladic-style Kallithea is a family-run hotel located in the area of Agia Anna. It features studios and apartments with kitchenette and a private balcony offering views of the Aegean Sea. 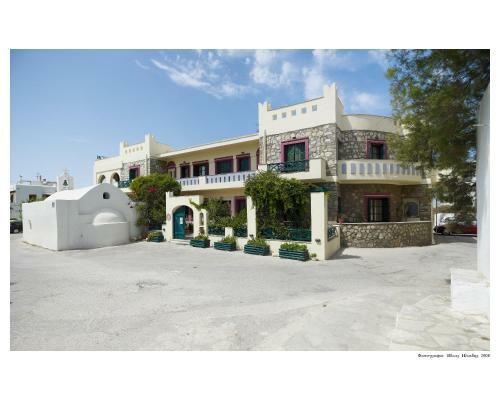 Situated in Mpourgos Region by Glezos Tower, and just 500 metres from Grotta Beach and Naxos Port. Chateau Zevgoli offers guest room overlooking the Aegean Sea. 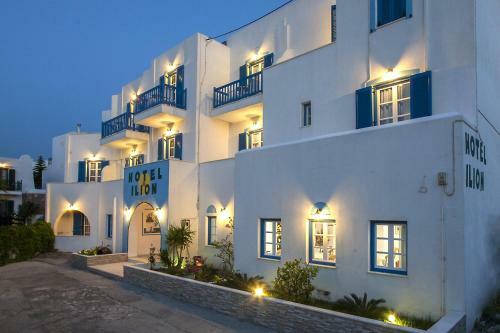 Cycladic-style Apollon Hotel is 500 metres from Grotta Beach in Naxos. Set in the scenic Fontana area it offers air-conditioned rooms with free Wi-Fi and a balcony overlooking the Venetian Castle. Grotta Hotel is situated on a beautiful hillside, overlooking Naxos Town, yet only a short walk from the beach. 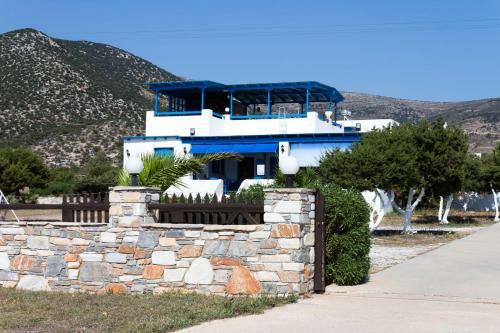 Villa Flora offers self-catering accommodation 100 metres from Agios Georgios Beach, only 150 metres Naxos Town Centre. Some apartments open out onto private balconies overlooking the Aegean Sea. Vrahia Studios enjoy a quiet location on Agiassos Bay, only 150 metres from the seafront. Guests are offered free transfer from and to the port of Naxos Town, located 22 kilometres away. In Naxos Old Town, 400 metres from Agios Georgios Beach, Anixis offers free Wi-Fi. Rooms� balconies overlook the Aegean Sea or the castle. The air-conditioned rooms of the Cycladic-style Hotel Anixis have dark wood furnishings and mosquito nets. 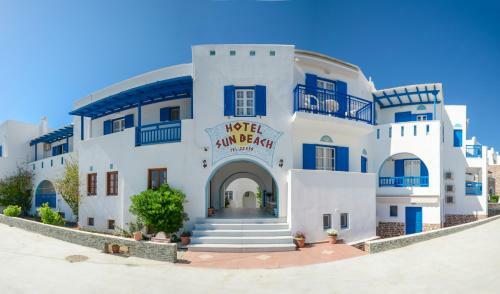 The Cycladic-style Sun Beach Hotel is located in Naxos Town, just 20 metres from the sandy beach of Agios Georgios. 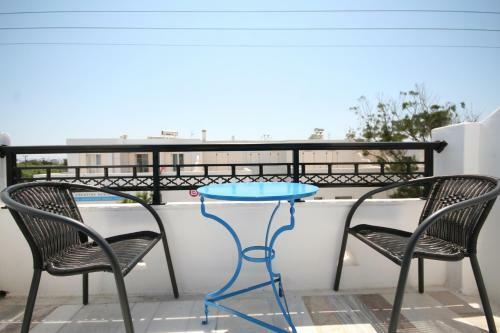 It offers self-catering units with free WiFi and a balcony or patio with Aegean Sea views. Situated 800 metres from downtown Naxos and 300 metres from Agios Georgios Beach, Fikas Hotel offers a pool and a breakfast buffet. Free transfer from and to Naxos Port is provided. Within a few steps of Agios Georgios beach, Hotel Zeus offers air-conditioned rooms with free Wi-Fi, and balcony or veranda. The centre of Naxos town is just 200 metres away. Bright and airy, Zeus rooms are equipped with a TV and a mini fridge. 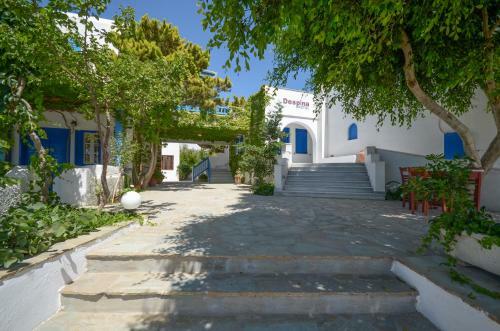 Centrally located in Naxos Town, Hotel Sphinx is 50 metres from several traditional taverns, shops and cafes and a 10-minute walk from Naxos Port. It features free WiFi and a buffet breakfast. It is just 150 metres from Agios Georgios Beach. With a stunning beachside location at Saint George Beach, Hotel Asteria is only 200 metres from the resort centre and 500 metres from Naxos Town. It offers magnificent views over the bay. Located on the beach of Agia Anna in Naxos next to the scenic port, family-run Artemis Hotel features accommodation with a balcony or terrace. Port transfers are provided, for a surcharge. Hotel Agnanti is 500 metres from the sandy beach of Agia Anna. Private parking and free two-way transfer to the port and airport are offered. Rooms come with a sea-view balcony. The air-conditioned studios and apartments of Agnanti are self-catered. 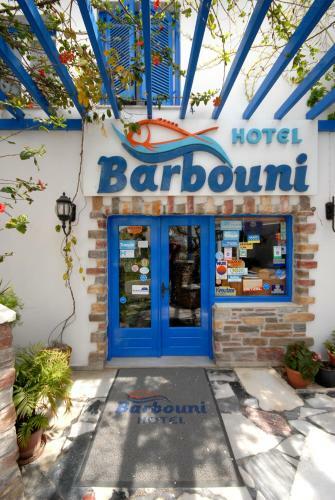 Barbouni Hotel is just 100 metres from the main square of Naxos Town, and 200 metres from Saint George Beach. Rooms are air conditioned and have a seating area. 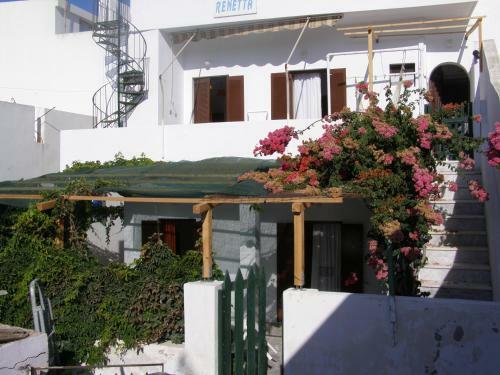 Centrally located in Naxos Town, Renetta is 800 metres from Agios Georgios Beach. It offers free Wi-Fi and serves a certified Greek breakfast in the garden. Free transfer from Naxos Airport and the port is provided. Located only 50 metres away from the beach of Agia Anna, Despina Hotel offers self-catering accommodation with sea or garden view. Free Wi-Fi is available in its public areas. 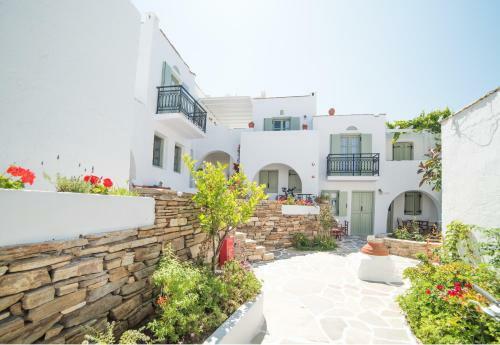 Situated just 20 metres from the beach and 100 metres from Naxos� town centre, Panos Studios offer self-catering accommodation with excellent views of the Aegean Sea and Naxos Island. Just 50 metres from Agios Georgios Beach, the centrally located Korali Boutique Hotel is a property built in modern style. The main square of Naxos Town is 250 metres away. This hotel is ideally located on the slope side of the Venetian Castle, right in the heart of the old city. Just 100 metres from the sandy Agios Georgios Beach in Naxos Town, the Cycladic-style Aegeon Hotel offers a swimming pool, a bar and a hot tub. It features air-conditioned studios with balcony 250 metres from the centre. The family-run Hotel Kymata is only 30-metres from the beautiful sands of Saint George Beach and a 10-minute walk from Naxos Town�s lively seafront with its many tavernas, beach bars and shops. Free WiFi access is available throughout. A 2-minute walk from the sandy beach of Agios Georgios, Hotel Blue Sky provides spacious, air-conditioned rooms in traditional blue and white Cycladic style. Rooms feature private, furnished balconies. Hotel Semeli is a 5-minute walk from the golden sandy beach of Agios Prokopios. Rooms are air conditioned with fridge. The family-managed hotel offers a swimming pool with poolside bar. Ilion Hotel offers a peaceful location, just 10 metres away from St. George Beach. Rooms have a balcony with sea views and a buffet breakfast is included in the rate. 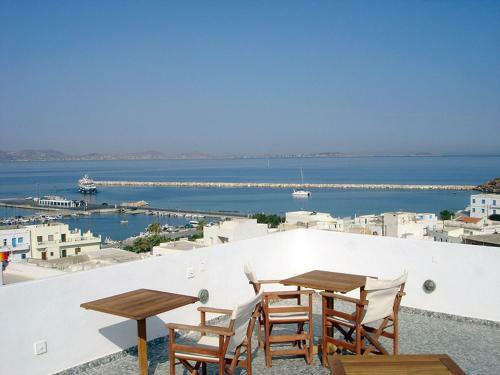 Within 300 metres from the port, Coronis Hotel enjoys a seafront location in the heart of Naxos Town. Overlooking the Venetian castle, Hotel Coronis offers air-conditioned rooms and free Wi-Fi in all areas. Just 50 metres from Agia Anna Beach, Anemomilos offers air-conditioned rooms with private balconies overlooking the hotel�s swimming pool. Guests enjoy free Wi-Fi throughout the premises. Just 50 metres from Naxos�s popular Saint George Beach, Iliovasilema Hotel offers a host of leisure facilities and well-appointed rooms, less than 10 minutes� walk from the port. A buffet breakfast can be enjoyed daily. 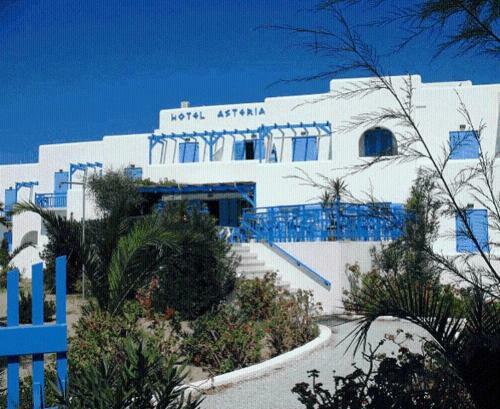 Nastasia Village is a small hotel located in Chora, the main city of Naxos, with Agios Georgios beach nearby. Nastasia Village offers clean and simple accommodation in an atmosphere which is warm and friendly. Hotel Naxos Beach 1 is ideally situated only a few meters behind the golden sandy St.George's beach and a ten minute walk away from the lively old town of Naxos. Anatoli Hotel combines the Cycladic architecture with a modern style. It features free Wi-Fi, an outdoor pool, gym and sauna. 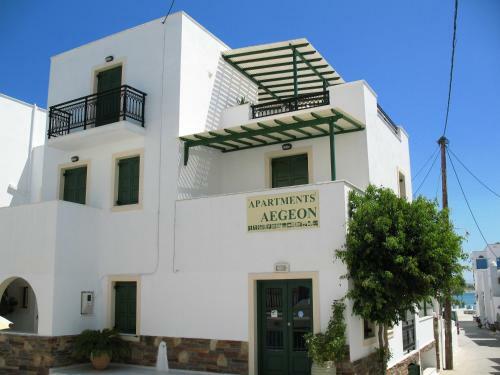 It is a 7-minute walk from the centre of Naxos and Agios Georgios beach.